We’ve just booked another holiday to Disney World for next Easter. When we booked in 2013 to go on our first holiday in 2014, we kept the news from Miss A for eight months and didn’t tell her until her birthday which was just over a month before we went. I was really looking forward to saying “surprise we’re going to Disney World”. 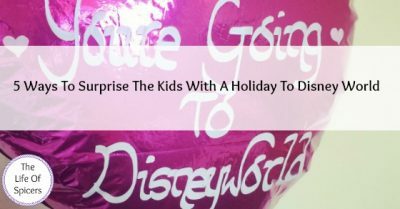 During that time, we discussed plenty of ways on how to surprise her with the news that she would be going to Disney World, and when the time came to tell her, the look on her face was priceless. 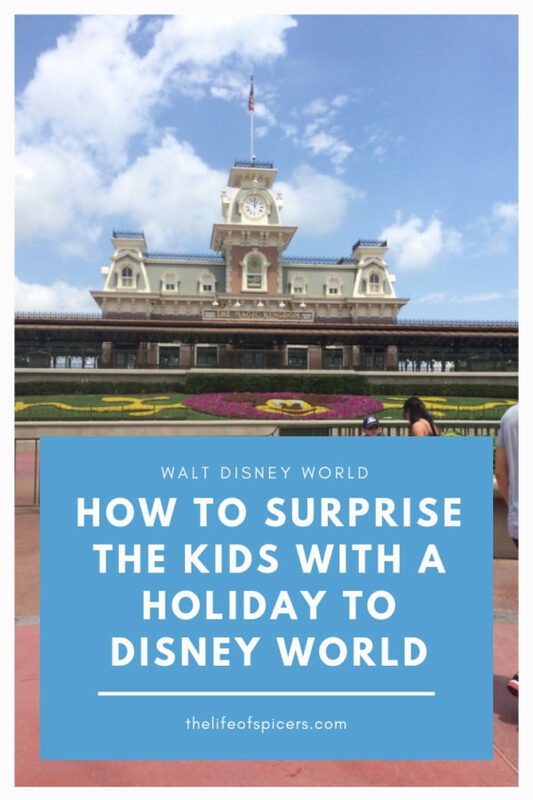 We researched a variety of ways on how to surprise the kids with a holiday to Disney World and found some truly amazing ones. We have friends who chose the popular suggestion of using magnetic letters to spell it out on the fridge so the kids could read it when they came down stairs one morning. You could build up the suspense by having a Disney film afternoon and tell the kids at the end of a film that they are going to go and see their favourite character from their favourite film. Depending on the age of the children, you could create a treasure hunt with simple clues around the house, with the prize being a soft toy of your child’s favourite Disney character with a note attached to them with the news of the holiday. If you are creative, you could design a letter or a certificate for your children and present it to them when you want to share the news. If you’re writing a letter, you could even post it to your child direct. 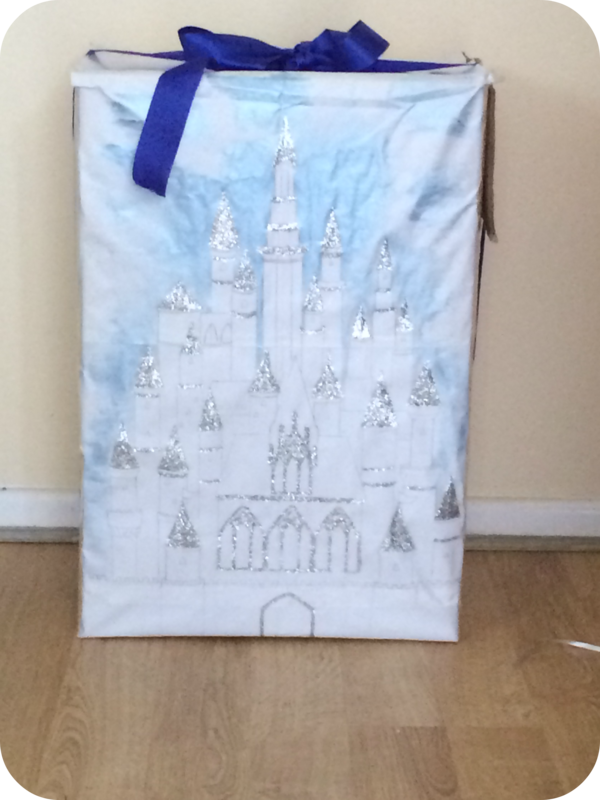 All children love receiving their own post, and when it comes from their favourite Disney character it will be amazing. Miss A was presented with a large box with some Disney inspired gifts inside as well as a personalised balloon telling her she was going to Disney World. 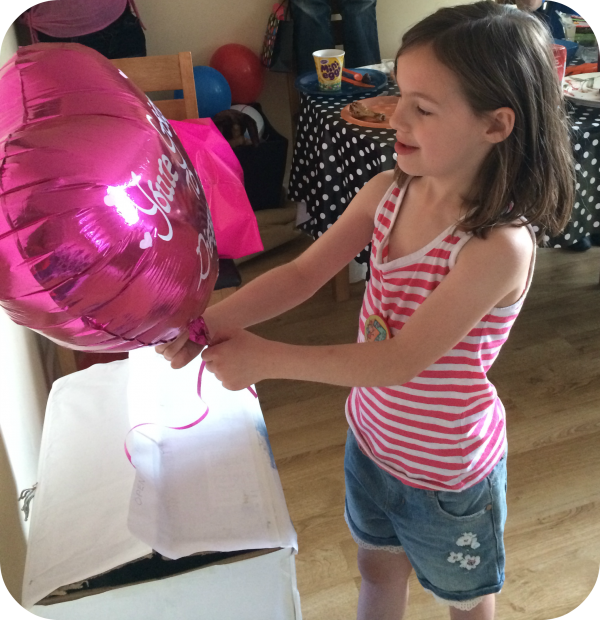 When Miss A opened her box and the balloon floated out, she read one side that said “Happy Birthday” and we asked her to turn it over, she did so and read the words “You’re going to Disney World” but she didn’t quite believe it. When we all said yes we were really going to Disney, she asked if it was a joke. We could tell the moment it sank in because she dropped the balloon and ran to her Dad and buried her head in a cuddle. I think she was a little overwhelmed and very happy when she realised. How did you surprise your kids (if you did) with a holiday? You can read all about our 2014 Disney Holiday starting with our Day 1 adventures in Hollywood Studios. Our 2016 Disney World Holiday began at Animal Kingdom. Need help with Disney planning? I’ve written posts on how to get the most our of your Fastpass+ selections, everything you need to know about Magic Bands, what to buy before you go to Disney World and plenty more. We didn’t tell our 12 yr old son–who REALLY wanted to go to Disney and had been waiting for years–that we were going. On the morning we left, we woke him at 4:30am by yelling to him to come see the bear in the backyard. He came running down the stairs where we had a Disney themed suitcase, sweatshirt, and hat laid out. We then explained that our ride to the airport would be there in 45 minutes. Best moment ever!! Lucky you! Another trip to the Disneyland! I properly will tell them month ahead and heading for trouble. Normally I will not do another as it will lead to lot of expectation from kids.